abu simbel – Traveling Epic! 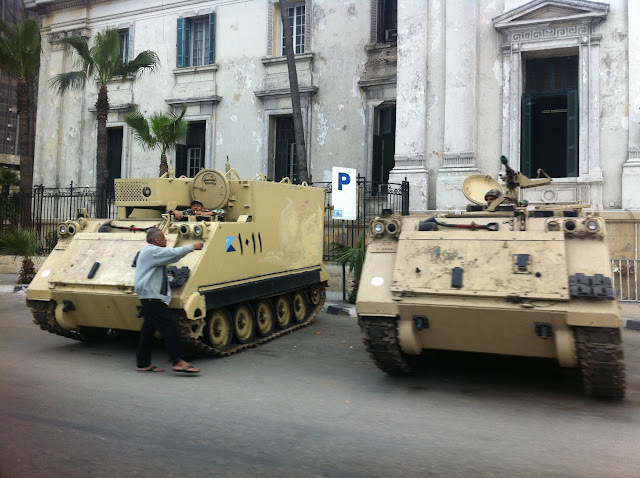 Post Revolution Egypt – Am I Safe? It seems like Egypt has for the most part fallen out of the news. Is it safe? A couple of quotes from an article on Egypt welcomes tourists and affirms safety. “Ambassador Scobey met with the heads of U.S.-based travel associations NTA, USTOA, ATTA and ASTA, along with tour operators and journalists, at the American embassy in Cairo. The group was on a six-day, fact-finding trip to investigate travel safety in Egypt and Jordan. I traveled with the delegation as they met Egyptian officials and toured Tahrir Square, the Egyptian Museum and other cultural attractions. British tourists “never stopped” coming to the resort areas and were motivated by great deals, according to Egyptian tour guide Mina Mamdouh Edwar. Before the revolution about 270,000 Americans visited Egypt each year, compared to nearly 3 million Russian and 1.5 million British visitors, said the Egypt Tourism Authority’s Samy Mahmoud. While the elections press on, Egypt itself is definitely on sale. Tourism is such a huge part of Egypt’s GDP. Egypt has had to borrow money to sustain the governing that is going on. I was there over a year ago, so it’s only gotten better in the last year. This picture was a rare one of a couple of tanks. Life is back to normal. As a traveller looking for the place without the crowds I think you’d find there are tons of reasons why you’d want to go while it’s still fresh in others minds, and would consider somewhere else. If I told you there were no police or the police was the army, but you are in one of the safest places… you might not believe me. 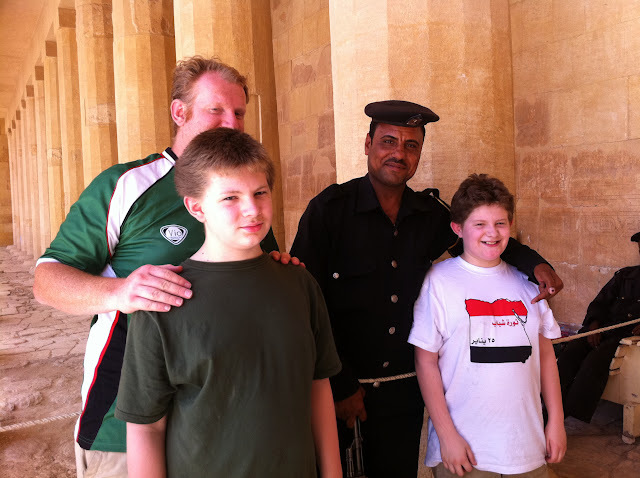 I visited Egypt following the Jan 24 Arab spring. In fact I visited in Spring 2011, in April. The taxi driver we were working with was picking up people at the Libyan border and providing transport. Now you’ve got resolution in Libya and Tunisia. Syria is having issues, but that’s north of Israel. Look at a map, it’s not that close. If you are considering a trip, I’ve got a few twitter friends who live in Cairo that could give us the on the streets update. You can ping me on twitter @joeloleson or just add it to the comments. My kids got into the spirit of it. In fact, Jared pictured on the right is wearing the shirt of the revolution. In Arabic #Jan24 and New Egypt. You can see the guard here is pretty excited about his choice of clothes. Another worker same day asked if it was ok to take a picture and post it to facebook!